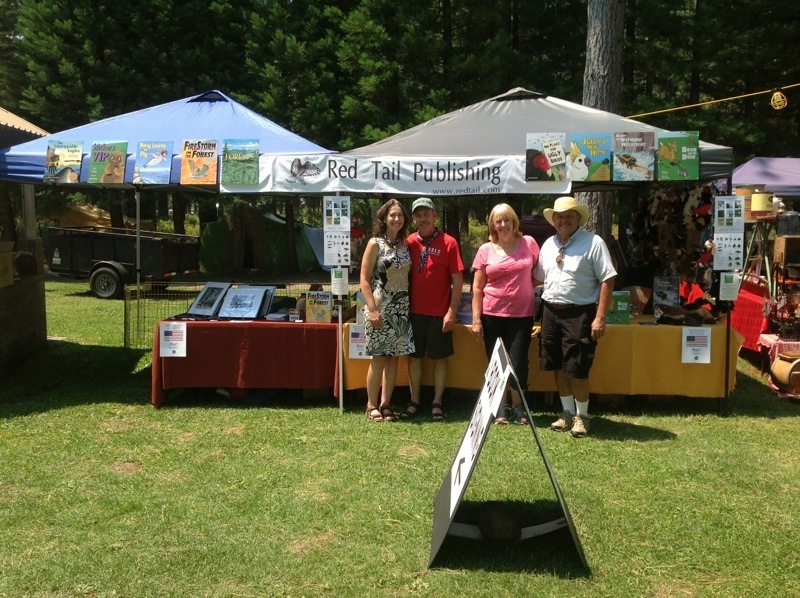 We had a great time at the 66th Annual Lumberjack Fiesta in McCloud, CA. This entry was posted in Children's Writing, Illustrations, Picture Books and tagged Ivy Smith, logging sports, Lumberjack, MaryA Livingston, Picture Books, Red Tail Publishing, Tim Livingston by MaryALivingston. Bookmark the permalink. What a fun event. So glad you got to participate! i would certainly walk up to that booth! i hope that everyone appreciated your hard work! Just one look at the smiles on the faces of the children when they get a signed book is bliss! That looks like it was a lot of fun! Wish I could go! Blitz and Teka came along, they had a lot of fun, too. One vendor was selling great tasting dog treats… Yummy bliss! I’ll bet they were show stoppers! What a great day! Seems like such a wonderful event – you guys have a real nice booth and I love to see all your books. 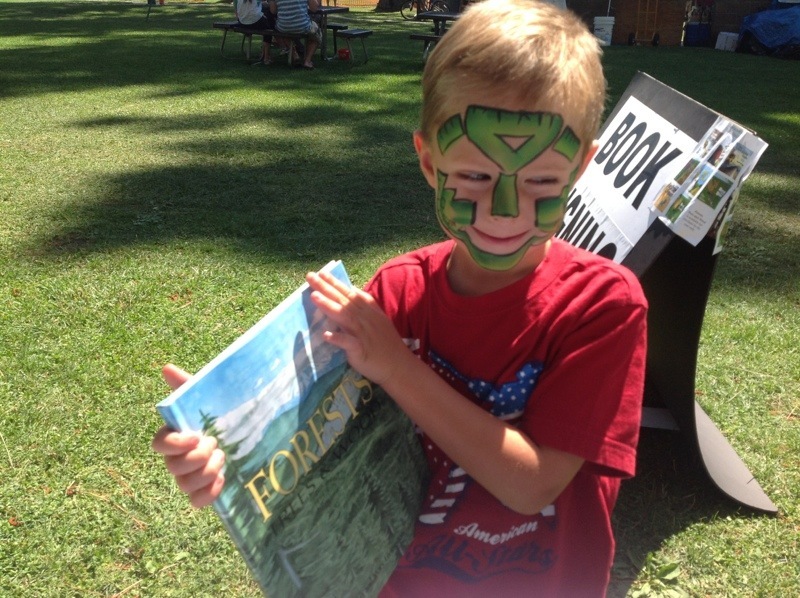 The little one’s face painted and his expression is priceless! The kids were so much fun. It is really nice when they get to meet multiple authors and illustrators. Great event! Hope many kids went home with your books!